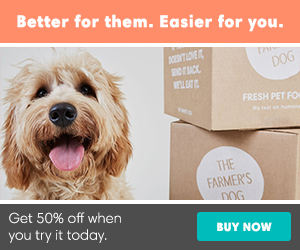 Your Dog is What He Eats- Dog Food Does Matter - Petpav - Your Online Magazine for All Things Pet! I’m sure most dog owners know that it is really important to feed your dog a good, high-quality food. A high quality dog food can sometimes be slightly more expensive, but in the long run, your dog will be in better health, look better and you will cut down on your veterinarian bills. It’s easy to overlook the importance of dog food but it is essential to pick the right one for your dog. Of course, you also need to make sure your dog drinks plenty of fresh water and should be fed a good quality dog food in the right amount for his or her breed and body type. Always follow the guidelines on the dog food package for recommended feeding amounts. The first challenge in choosing a dog food is picking one that has a good overall quality. The quality of food that is essential in your dog’s food is that it is human grade. Human grade means that the dog food is good enough for us to eat (but I don’t recommend it! ); many commercial dog foods are made from ingredients that aren’t desirable for our consumption. I love my healthy dog food! Many dog food companies try to provide balanced proportions of vitamins and minerals for the maximum benefit to your dog. Although you may see that many brands of dog food have almost identical labels, a reputable dog food company will provide an explanation for each supplement and how it benefits your dog. Always read the label to see what proteins, vitamins and minerals are being provided to your dog. Try not to use the store brand dog food they as they are usually not as high in nutrition. The primary ingredient in dog food should be a meat-based protein, not corn meal, flour or corn gluten meal. 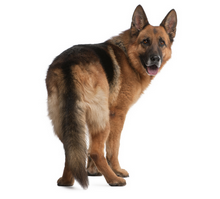 A better quality dog food results in a healthier coat and fewer digestive problems. The best dog food is made from human-grade ingredients like meat, whole grains and vegetables. A raw food diet can be more costly than traditional dog food and it might not be feasible for you to if you don’t have the time to cook. However, if you have time and a little extra money to spend on raw food, your dog will probably love it. Many natural dog foods contain only fresh, natural and wholesome ingredients for your dog. Not only are the protein ingredients digestible, but the carbohydrates in the dog food are digestible. Natural dog food has 100% nutritional value which is important for healthy strong dogs. Chicken, egg and fish are generally the type of protein that is provided in natural dog food. There are also ingredients in natural dog food that really help the health of your dog’s skin and also your dog’s coat. One of the main draw backs of natural dog food is that it has a shorter shelf life and may spoil before it is used so just be mindful of how much you buy at one time. A good high quality dry dog food will work out to be more economical than the generic brands even though they cost more per pound. Many dog owners like dry food for its convenience and easy storage. The cheaper dry dog foods are made from soybean, corn or rice, while many premium dry dog foods are made with all-natural, human-grade ingredients. Again, make sure to read the labels. With so many different healthy dog foods on the market, it should be fairly easy to find one that you like for your dog – price and quality- and that your dog loves to eat! As always, if you are unsure of what type to buy, ask your veterinarian as he or she knows your dog best.